We hear it over and over: This 2017-2018 period is seen as an important time for the ILC project, as we are fast approaching the Japanese government’s decision on whether or not to host the accelerator. 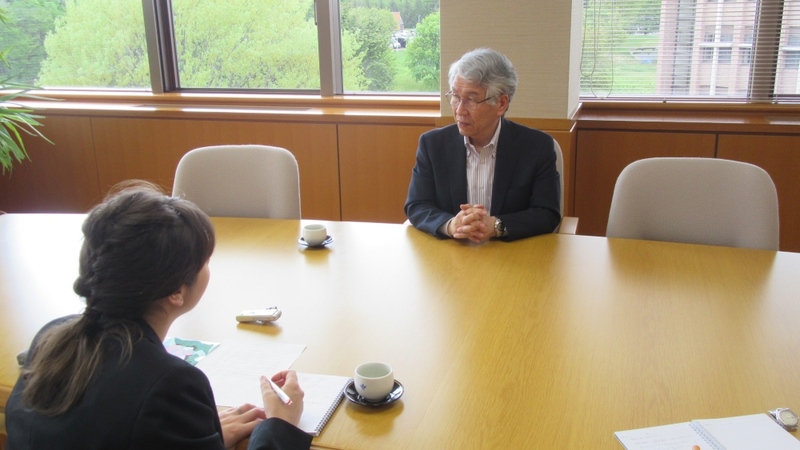 We know many are curious as to the decision-making process, and we sat down with Prof. Atsuto Suzuki, president of Iwate Prefectural University and former head of Japan’s High Energy Accelerator Research Organization (KEK), to get some answers. He also let us know what his organization, the Tohoku ILC Preparation Office, is working on to get the Tohoku region ready to host the ILC. First, can you let us know a little bit more about the staging of the ILC? * Have you gotten a consensus from the international community? *Staging: Breaking the ILC’s construction into separate phases, starting off with a smaller accelerator and gradually adding length and power to it. The approach is now to start off with a smaller collider in the first stage. Well, first of all, we’ve always had the concept of staging. When the Technical Design Report for the ILC was released in 2010, the research was divided into 3 stages over 30 years. The first stage is a Higgs boson factory at 250 GeV. The next step is a top quark factory at 300 GeV, and then finally the ILC’s power would be increased to 500 GeV. All of these phases together would cost around 2 trillion yen over 30 years, including utilities (electricity, heat, water), labor, and maintenance and inspection costs. Japan would be responsible for 50% of that, or 1 trillion yen, which would equal to 35 billion yen per year (about the same yearly cost as KEK). Here’s the reason we did it that way. The ILC community has seen what happened with the Superconducting Super Collider (a cancelled accelerator project) and also what’s currently happening with ITER (International Thermonuclear Experimental Reactor). If you start a project too early, before you have a chance to finish the R&D process, then costs could balloon past initial estimates. In the worst case scenario, this could lead to a project being cancelled. It is crucial to have a cost estimate we can trust, and to have an overall vision for the project. Furthermore, if we outline the possibilities of each stage of research within that vision, we can expect costs to further decrease thanks to future R&D after the project starts. That is a crucial step for starting the project sooner rather than later. The international team has been deliberating what is necessary for the design of the 1st stage and a cost estimate as they keep in mind this overall view. The ICFA (International Committee for Future Accelerators, the group that ultimately oversees the ILC project) will hold a meeting in August, and at that meeting the staging plan will be brought up and released to everyone in order to gain consensus. The first stage will also include the construction of the ILC, and will take 10 years. But as I said earlier, more R&D will have taken place by that time, and costs for the 2nd stage may go down. So in that sense, we’re glad that the staging process is taking place, and we think we’re headed down a good path. Some in the community are worried that with staging, the ILC may stop at the first stage, and not reach its full potential. What do you say to that? The first stage will be the ILC as a Higgs factory. We know for certain that the Higgs exists, and with the ILC, more precise experiments are possible. Once we see understand the Higgs, we will know what we will have to do next. I can understand the worry, but it’s very rare to be able to predict the outcomes of experiments. We must have foresight and conviction, remain patient, and go one step at a time with these experiments. In another sense, the Large Hadron Collider at CERN is a discovery machine. It searches for new things that we haven’t discovered yet. However, many of the reactions that result during its experiments point to things we already know about. It’s not suited to in-depth research. With the linear collider at the ILC, we can perform highly precise experiments that elicit only the reactions we want. In my presentations, I often explain the LHC and ILC like this: The LHC searches for paths in a jungle with no paths. The ILC paves that path into a bigger path, and leads to the next generation of experiments. We know the Higgs exists, and so with the ILC we know we will find our way to the next step. The ILC is not a gamble. What’s next for the project after the staging plan goes public? At that point, we take the staging plan to MEXT (the Japanese Ministry of Education, Sports, Culture, Science, and Technology) and other related organizations. We will then petition them to further push along the deliberations between the US and Japan as quickly as possible, and to start deliberations between Japan and the EU, and Japan and other Asian countries. In particular, the scientists from around the world will begin planning their next 5-year strategy for high energy particle physics in 2018. In 2012, the Technical Design Report (TDR) for the ILC was released, and both the EU and the US strongly supported the ILC in Japan in their 5-year strategies at that point. In their statements, they placed strong hopes on a proposal from Japan. Almost five years have passed since that point. The time limit is fast approaching. Does the budgetary process in Japan differ from the other member countries? You could say that Japan is “digital” while the West is “analog.” In other words, until Japan’s Ministry of Finance authorizes a budget for the project, we cannot use official funds (for the ILC). Up until now, every time we’ve developed technology related to the ILC, it had to be called “development of advanced accelerator technology.” However, unlike the West, once the projected budget is authorized, the project would continue unless there was some sort of issue or accident. In the West, the ILC has been included in their budgets in stages corresponding to developments in the project. They’re called things like “the 2 year plan for technological development for the ILC.” Once the project starts, their budgets would be finalized as the “ILC Project Budget.” But if the project doesn’t show good results, then that budget could be taken away without warning. With the ILC, every time there has been a new development, Western countries have included it in their budgets, and Western researchers are waiting on some sort of forward-looking sign from the Japanese government on the ILC as they continue their current research. But there has been no sign, making it hard for them to secure their research costs. When you push forward a global project like this, different cultures have different values, so we need policies that take into account how each country puts together its budget. The ground is meant to represent a galaxy outside of Prof. Suzuki’s window. Mount Iwate in the background. Can you tell us what the Tohoku ILC Preparation Office is working on this year? ・Deliberated on creating national strategic special zones for the ILC research organization, the surrounding international city of science, and international science innovation. By the end of the 2017 fiscal year (March 2018), all of the working groups will wrap up their work and create a detailed report as well as a pamphlet (guideline series) that will introduce our overall strategy to the general public. Furthermore, after the staging plan is released, we would like to show MEXT that the Tohoku region is adequately prepared for the ILC. 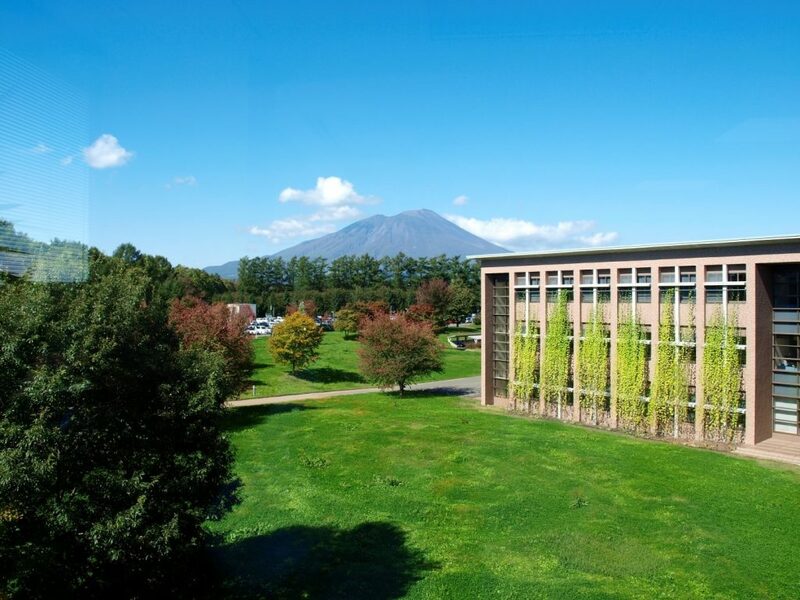 Additionally, Iwate Prefectural University and Iwate Prefecture’s Office of Science and ILC Promotion are pushing forward initiatives that will foster a multicultural society. In particular, improving Japanese language education for non-native speakers. We’d like to develop the region as a place where you can learn Japanese no matter where you go. We are also working hard at introducing a one-stop total service that would support foreign residents from the moment they enter Japan until the moment they leave. As a part of that service, we hope to make use of an app about living in the area, designed by a professor at Iwate Prefectural University that was originally for senior citizens. He is now developing the app into something we can use. A diverse society doesn’t just mean bringing in people from other cultures. We must evolve our society into one where everyone can live in harmony, at every age, without barriers. We hope to keep Iwate’s societal development in mind as we move forward. What is being done to get an understanding of the ILC from the people of Japan? First, we’re using a pamphlet from the ILC Preparation Office that explains in plain language the significance of the ILC, and how it will contribute to society, Tohoku, Japan, and the rest of the world. Also, we have created opportunities for the people of Tohoku to get together to talk about what kind of region will be created with the ILC. Instead of concentrating existing resources and capital in one place, our goal is to develop the region so that all that functionality is spread over a wide area. We must share that goal with the general public. We’re not going to create a special place from scratch for foreign researchers and their families to live – We’re aiming to make every town a place where foreign researchers and their families will fit right in. 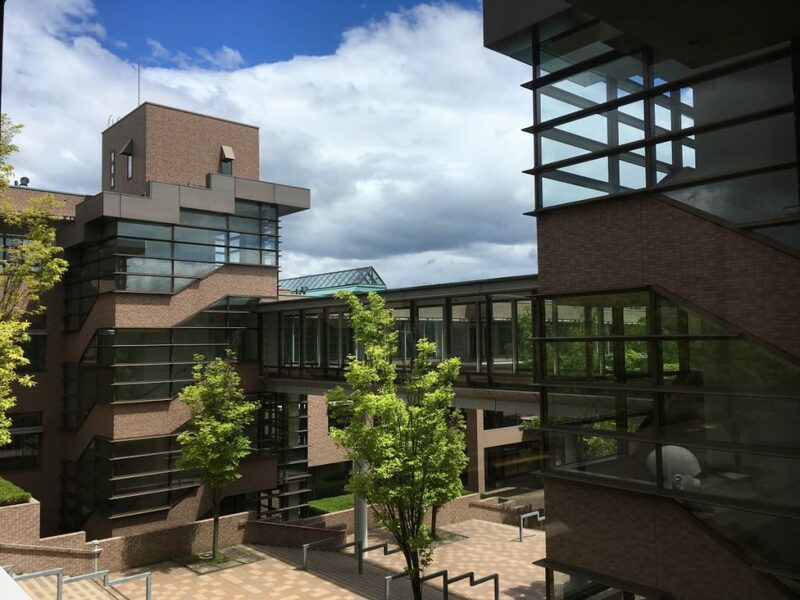 We’ll also be devising a “zone of international science”, “zone of international residence”, and a “zone of international industry innovation”, as well as a wide area zone stretching from Morioka to Sendai. Sharing this will be useful in encouraging people in the area to get excited about the ILC. The ILC will open the doors to the future for Japan. It will create a Japan that challenges itself to become the next frontier of knowledge for humanity. It will create a Japan that will lead the world in the 21st century – the Asian Century – where people will gather and a new world culture will be born. It will revive Japan as a major manufacturing country through its effects on industry and technology. It will create innovation at a national level. And it will change Japan from a country that receives, to a country that gives. We must work hard in spreading those ideas to the people of Japan, so that we can reach a common understanding.